Vaudeville was an exhilarating, great new world for me. It had its share of deadbeats and egocentric maniacs and joke-snatchers. But we had warmth and camaraderie and time for laughs. It will probably come as no surprise to learn that the fast-talking, bespectacled creator of Sgt. 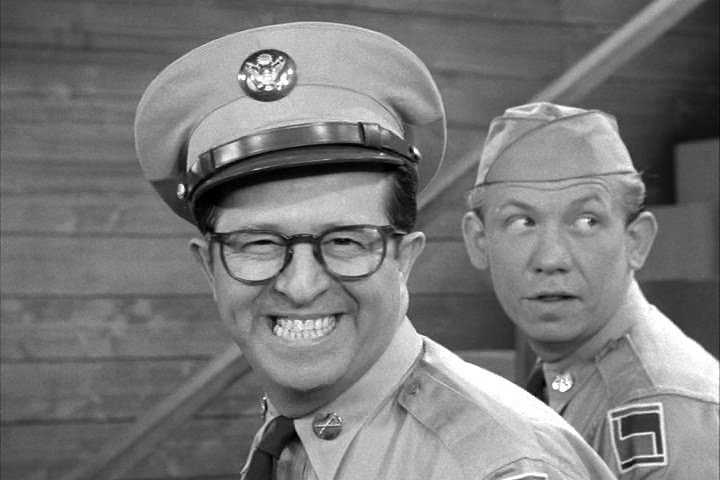 Bilko was a vaudevillian. Silvers called the character an “aggressive, smiling, call-a-tall-man-shorty manipulator.” Phlegmatic, chinless, nakedly venal, Silvers represented everything the rest of America hates – and New Yorkers love – about New York. It will probably come as no surprise that he was only a little bit like his character. Born Philip Silversmith in the Brownsville section of Brooklyn in 1912, his first love was singing. Brownsville was a tough part of town. Running wild with the other kids, Silvers would play hooky from Hebrew school to go the movies. Because he would sing at the drop of a hat, it was only natural for him to start breaking out into song whenever the film broke or a reel needed changing. At 11 years old, this was his first job in show business, an industry which he never left. When he wasn’t singing, he was stealing change from his family to go see vaudeville shows at the Bushwick Theater. From movie theater singing, he became an M.C., cracking jokes and improvising patter to keep the natives restful. A pugilist, bouncer and theatre manager named Jack Elliot teamed him with Bud and Buddy, Jr., billing Silvers as “Brownsville’s Own Sophie Tucker”. With a handle like that, a guy had to be tough. The act was booked around Brooklyn, and on ferryboats that still chugged in and out of Williamsburg every day. Working in show business made the kid cocky, and one day he made the mistake of mouthing off to his teacher (and trying to fend off the teacher’s blows). He was placed in reform school, where he met up with all sorts of bad characters. By his own account, Silvers was well on his way to becoming a crook, when he was sprung from reform school, and the family moved to Bensonhurst, a much better neighborhood. One day, while clowning around on the beach at Coney Island, he was spotted by Gus Edwards who booked him for his “School Days” revue. The Edwards machine was a well-known commodity; Silvers’ vaudeville debut was at the Palace. He toured with the act for three years, until his voice began to change. He next played the kid in a sketch with the vaudeville duo of Morris and Campbell, called “Any Apartment”. He remained with this act for six years until, again, he was too old. By now he’d been typecast as a kid. It was 1931, the height of the depression, vaudeville was dying, and jobs were scarce. He finally got a job in an act concocted for Charlie Chaplin’s first ex-wife Mildred Harris. Silvers and another young man Herbie Faye, were great in the sketch. Harris, who was not a performer, was not only terrible, but a horrible cocaine addict. Yet her association with Chaplin helped to sell tickets. They opened second on the bill at the Palace in Chicago, which by now was a burlesque house. The act went over so big they were immediately moved to next to closing. Then the manager convinced the down-and-out Harris to strip onstage, and all of the act’s remaining vaudeville bookings were canceled. Silvers continued with Herbie Faye and his wife in burlesque for a time. Faye who’d been in burlesque awhile taught some tricks of the trade. From here Silvers, teamed up with a young Jack Albertson (yes, of Chico and the Man, Willie Wonka and the Chocolate Factory, and The Poseidon Adventure, although those triumphs were years away). Silvers improvised on the clarinet while Albertson (then named Kraft) danced. The act played the Catskills, and some Minsky’s houses, before Albertson left for Tinseltown to concentrate on acting. Silvers remained at Minsky’s from 1934 through 1939. It was here that he first adopted the horn rimmed glasses as his trademark, although they didn’t originally have glass in them. Also, they were oversized, clown glasses at first, matching his oversized clown bow tie, and his oversized, clown, big, floppy hat. While in burlesque, he frequently performed with the legendary Rags Ragland, who later went to be a beloved contract player at MGM. His first Broadway gig was in the 1939 show Yokel Boy starring Jack Pearl and Buddy Ebsen. Pearl was a big flop and dropped out, allowing Silvers to expand his own part, one “Punko Parks”. Louis B. Mayer saw this show and signed him up for MGM. Silvers thought that he was on his way. Then the studio gave him a preposterous screen test, in which the part he was assigned was that of a young English priest in The Pride and the Prejudice. Based on this screen test (which hopefully still exists somewhere! ), Silvers was never cast. His first TV foray was on The Arrow Show (1948-49), but by 1955, Silvers was a big enough deal that he was given his own starring sit-com, which he created himself in collaboration with writer Nat Hiken. Called You’ll Never Get Rich, it is better known today by the name of its main character, the scheming, gambling conniver Sgt. Bilko. 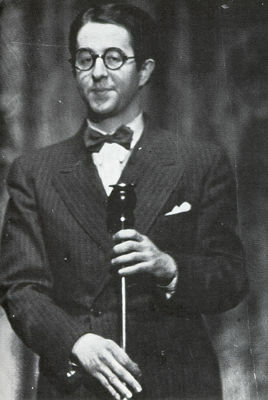 The show was so successful, it bumped Silvers’ old pal Milton Berle right off the air. 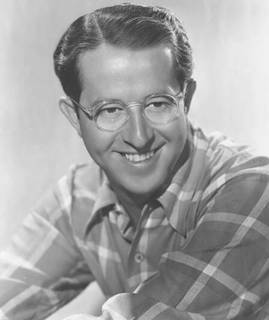 Bilko ran until 1959. A New Phil Silvers Show was tried in 1963 but it didn’t fly. His last TV work came as a result of Silvers friendship with Buddy Ebsen, becoming a regular on the Beverly Hillbillies from 1969-71. In later years, there were a few supporting parts in films, such as It’s a Mad Mad Mad Mad World (1963) and A Funny Thing Happened On the Way to the Forum (1966). In 1972, Silvers won a Tony for his performance as Pseudolus in the Broadway revival of that show. 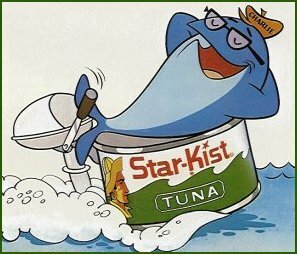 Although he cannot prove it, your author is strongly convinced that Starkist Tuna’s cartoon mascot “Charlie the Tuna”, though voiced by Herschel Bernardi, was based on Silvers’ character, as well. Silvers died in 1985. Sorry, Charlie. I love that lady’s figure, on the end. It looks like it’s going somewhere. …I know I’m on a comedy, because the laughs come first.